My name is Kenneth Ewings. I was born 1933 in Alton, as were my brothers George (1928) and Raymond (1935). 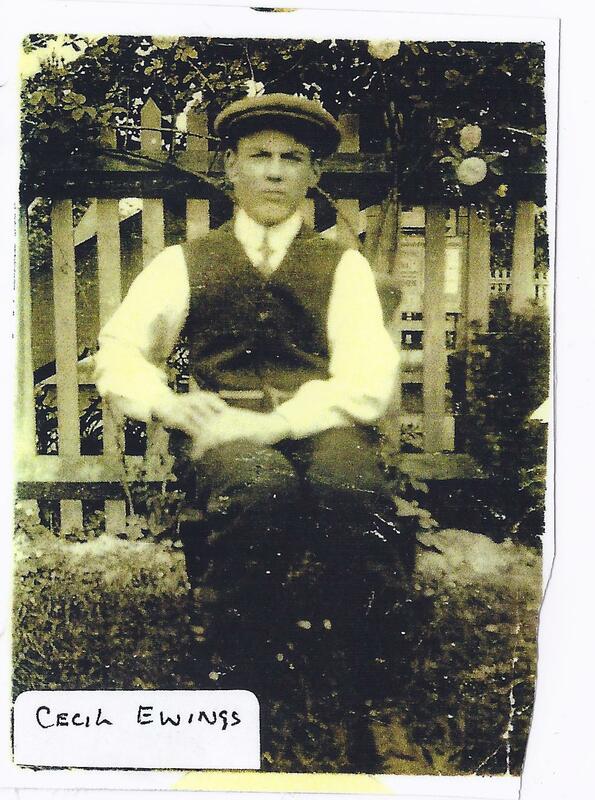 My father, Cecil Donavan Ewing, was born in Gosport in 1895 and died in 1955. My mother, Gladys, was born in 1905 and died in 1998. My father was a 3rd generation Railway Employee dating back to 1850. My grandfather, Harry Napier Ewings (1868-1926), joined the LSWR as a junior porter at Devenport, Dec 1884, at £30 p.a. He was moved to Christchurch (Feb 1887) and Chiswick (Nov 1888) where he was appointed clerk at £60 p.a. 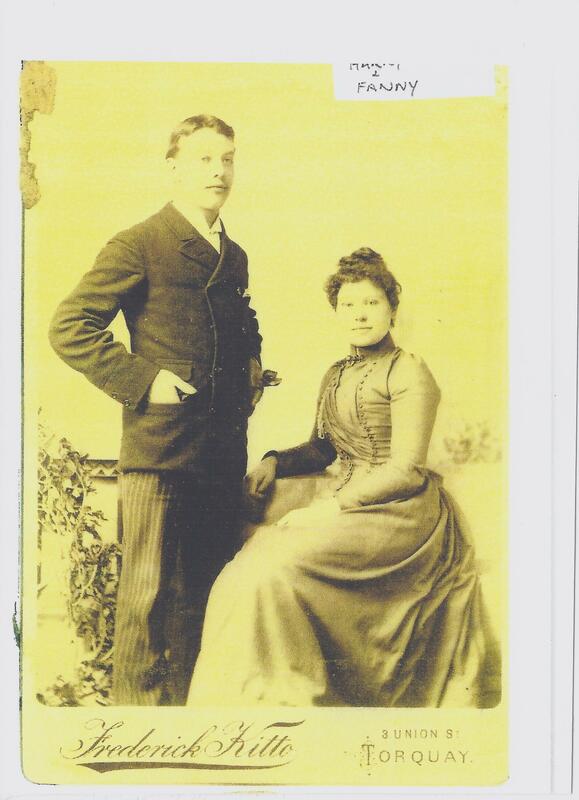 He married my grandmother, Fanny G. RoveKamp (1869-1951) in January, 1892 at Brentford, Essex. A further move took him to Gosport Road (Feb 1892 -1905), still as a clerk, at £70 p.a., rising to £90 p.a. His final move came when he was appointed Station Master in June 1905 at the new station at East Tistead, near Alton. Salary was now £180 p.a. and included a free railway house. My father attended East Tistead School. He joined the railway in 1913 and served with his father who was the station master at Tistead, near Alton. His railway service was interrupted in 1916 when he was called up to join the war effort and served at the Somme. He returned to the railway in 1919 and continued to work at Tistead Station. 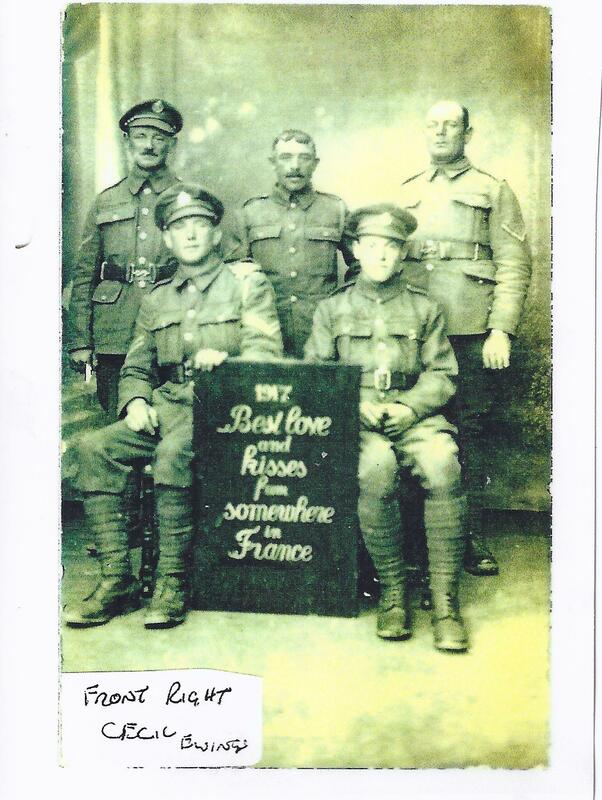 He married my mother Gladys (1905-1998) in December 1923 at South Stoneham, Hampshire. My mother was from near Southampton and her parents were strawberry growers. My father applied for a job on the railway on Hayling and, in the summer of 1935 we moved there. It seemed, and proved to be, an idyllic place to live. Open countryside, good clean beaches, public transport, schools and churches etc. We originally lived at 10 Athely Road then moved to 8 Council Houses, Manor Road and, in 1948, to Deaconsfield, West Lane. Father worked at the railway station as a Clerk, Special Grade, a sort of general duties man. Much has been written about Hayling Island and its life and times, but very little about its lifeline during WW2. I refer, of course, to the Havant to Hayling railway during the war years, its staff and their children. Father worked a 13 day fortnight, 12 days at Hayling and 1 day at Bedhampton (which he reached by bicycle). The local pub near the station was ‘The Barley Mow next door to the ‘West Town Hotel’. The pub landlord was Ted Game. Signalman Jack Wilkinson used to supplement his day job as a barman at the Barley Mow. It was rumoured he was doing this job between trains when he was on the late shift at the station. With 4,000 local residents and 4,000 military personnel on the island, plus the busy passenger and freight traffic (the freight being mainly for the military and therefore being classified secret), the station was a very busy terminal. When classified goods arrived, the wagon(s) would be shunted into the goods shed. Access to the shed was then strictly forbidden to all except the military, who would unload the goods under cover and transfer them to waiting military vehicles. The station railway line was of course a very tempting target for the direct raids or secondary target of the bombers which were raiding the Portsmouth Garrison and the two RAF bases to the east of Hayling, just a few miles away. It is not generally recognised that Hayling was only 60 miles from the German front lines and only 7 minutes flying time away. To protect the railway line, anti-aircraft guns (Boffers) were stationed every 250yds for the first mile or so, to the north of the station. Decoy fires, lit to attract the bombers away from Portsmouth, were only 50yds from the railway line and thus illuminated parts of the railway for the bombers. The station was only directly hit once, causing much damage. There were also several near misses. My mother told me that her worst fears were not the bombs or machine guns but when she finished late shift at 9pm, having to walk home. There were no street lights, you could not use torches and there were no white road markings. On a moonless night it was totally dark. The fact that there were 4,000 military on the island, waiting to invade Europe, did nothing to reassure her that there was nothing to fear. The only time I saw her panic was when she was walking with my brother Ray and myself one Sunday in 1942 and we saw a dogfight between British and a German fighters only a few hundred feet above us. Some of the bullets that missed their target thudded onto the pavement near to where we were standing. 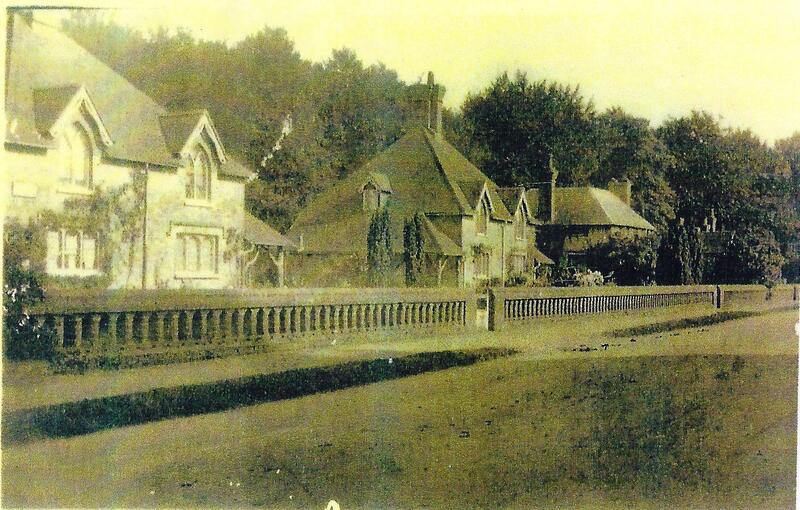 We were rescued by the people who lived at ‘The Firs’, a house on Manor Road. My only real fears in the war were to do with going to school. The Headmaster seemed to be of the opinion that caning was a compulsory academic subject. Just to get to school itself was a test of bravery, especially during the summer months. After an all-night bombing raid, I set off to school about a mile away. The first obstacle to pass was a pair of large Labrador dogs belonging to Mr Jackson. The dogs would form a barrier to any child trying to pass by. I am quite sure now that they were totally harmless but, when you stand shoulder high to 2 barking dogs, alone and only 5 years old, frightened does not seem to adequately describe one’s feelings. The next obstacle was the Manor House pond, or to be exact, the life thereon. The pond was by the side of the road and a perfect breeding ground for dragonflies. To a nervous little boy having passed the dogs only to be buzzed by dragonflies was to look into hell itself! School started with assembly followed by roll call in the class. Often a pupil’s name would be called out to be answered by a voice “He’s dead Miss, last night’s raid Miss”. Miss Bone told me 2 years ago at our reunion that the hardest part of her day was to write ‘deceased’ by the child’s name. The war passed, the Co-op opened at Mengham, circa 1947. I am told this was the first supermarket in England. 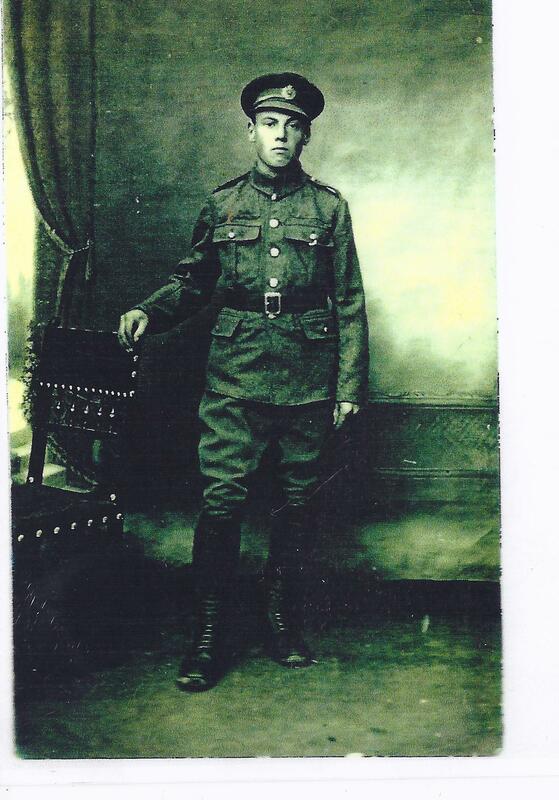 My brother George, training to be a railway signalman at Havant, took his final test but failed his medical. He was red/green colour blind. Considering that he had assisted with shunting freight trains laden with petrol and high explosives during the last few years of the war, it seemed a bit disturbing. When asked how he managed during shunting, he replied ” I remembered the lever positions”. He did however stay on the railway for 50 years and died aged 74 in 2002. I spent my first working year with WH Smith the newsagents. 7am – 7pm with 2 hours lunch break, 6 days a week. Pay was 22 shillings per week. I then worked at the Coronation Holiday Camp and Southleigh Holiday Camp. Happy days indeed. Our social life was mainly in the pubs – The Barley Mow, The Rose in June, The Shades and The Yew Tree. Our main watering hole was the NAB Club. We were of course under age so that meant we had to take evasive action to dodge the local constable when we left the club, often after midnight. We walked along the beach as far as the Royal Hotel, crossing Bacon Lane and crossing Hayling Park then, in my case, a short dash to home. I joined the Royal Air Force in 1952 and served 25 years. Over the years I had become a Master Chef the skills of which allowed me to travel the world, firstly to the Persian Gulf, then South Africa and on to Australia, where I lived for 30 years. My brother Ray still lives in Melbourne. My mother emigrated there aged 60 and died there aged 92. I returned to England in 2008 and now live in Bristol. I have 5 children, 10 Grandchildren and 13 Great Grandchildren. I met Ken at the Hayling School Re-union, 28 April 2012, at the Lifeboat Pub. He extends his best wishes to all his friends. Article updated 31 January 2013. Grandfathers details and images added to the article. Photos courtesy Ken Ewings. Thank you Ken for this really interesting article. What a superb post! It certainly evokes memories of a different age. Thanks to Peter D and Ken. This is what makes this website so valuable. During my visit with Noel Pyecroft (26 Oct 2012), he read this article by Ken on my laptop. He was extremely interested in what Ken had to say and made the following comments. Noel adds the following about Mr Earney. He taught football and cricket in his own time after school, he also taught gardening. He played the organ at St Mary’s church. but does not forget to use his stick. Noel also recalls the following about a dogfight he witnessed. ‘A large flight of 28 Junkers 87 (Stukas) attacked Thorney Island, 18th August 1940 at 1330hrs. The defences downed four attackers (1 came down in the mud between Bosham and Chidham, 1 came down in Chichester, 1 came down at Bosham and the last came down in West Ashling). Hurricanes then engaged the attackers as they headed for home and brought another 10 enemy planes down. More detail can be found in the book ‘The Hardest Day’. Ted Game should be Charlie Game (Ted was Charlie’s son). I think you will agree, a very interesting visit. Next: ‘Fenchurch’ on the Bluebell Railway (In later British Railways livery).